Aluminum alloy armor plate 5083-H131 is a non-heat treated strain hardened aluminum-magnesium alloy. The aluminum alloy has very high resistance to cracks and stress corrosion cracks, is easy to weld, is corrosion resistant, and has excellent resistance to fragmentation, thus the 5083 aluminum alloy is applied in military armored vehicles and marine industry. Armor is mainly used to resist the penetrating radiation of kinetic energy armor-piercing projectiles, hollow charge armor-piercing projectiles and nuclear weapons. “Lightweight” is one of the important conditions for modernizing armored vehicles and improving their mobility. 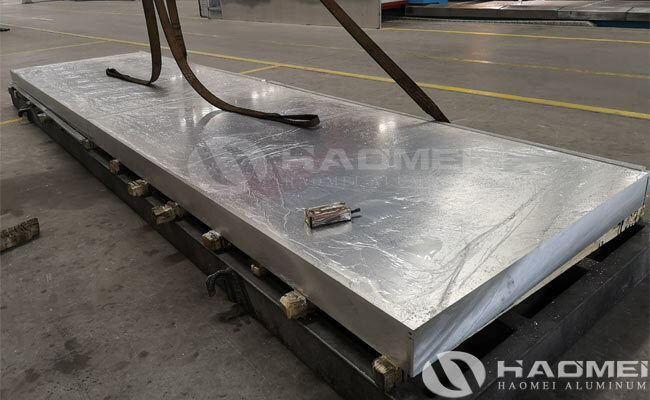 The main material that can meet this condition is aluminum alloy plate. The “aluminization” of armored vehicles is the current development trend. From all over the world, the development process of aluminum armored vehicles can be seen to be directly related to the elastic properties of aluminum alloy armor materials. The material of aluminum armor is generally aluminum magnesium manganese alloy such as 5083 aluminum plate alloy, which is the largest compared with the same volume of rolled homogeneous armor steel. The advantage is that the density is small and the weight is light. The high-grade 7000 series aviation aluminum alloy can achieve 50% of the RHA (uniform rolled armor steel), and the low-grade 5000 series aluminum alloy can reach about 40% of the RHA, but the weight is only 1/3 of steel. Aluminum alloy armor plate 5083 is considered to be a very good armor aluminum alloy, in addition to qualified bulletproof performance, it has good corrosion resistance and heat resistance, high strength and fracture toughness, in a higher temperature will not soften, is an aluminum alloy with excellent comprehensive performance.